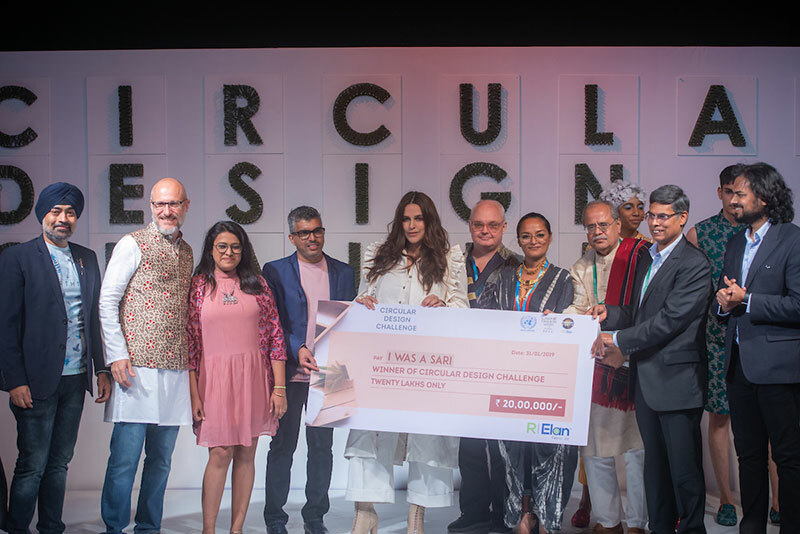 Strong, compelling presentations were made at the Circular Design Challenge — a collaboration of Reliance Industries Ltd.’s R | Elan Fashion for Earth initiative, Lakmé Fashion Week and the United Nations in India. 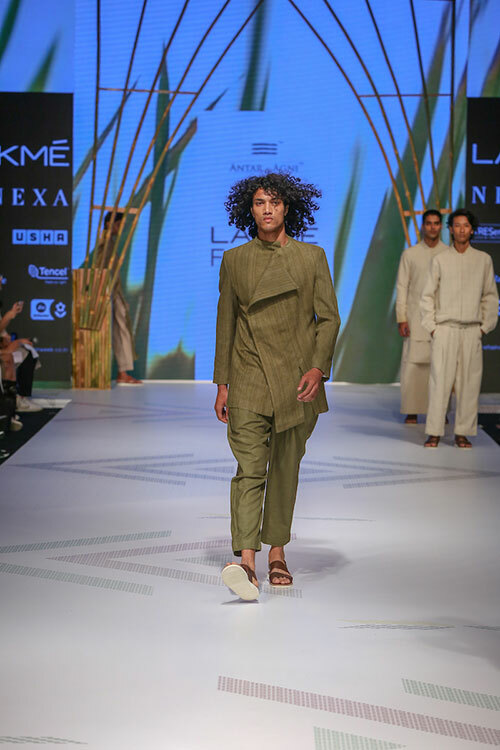 Eight labels that were shortlisted for the country’s first award for sustainability in fashion presented 4-5 designs each to a jury. 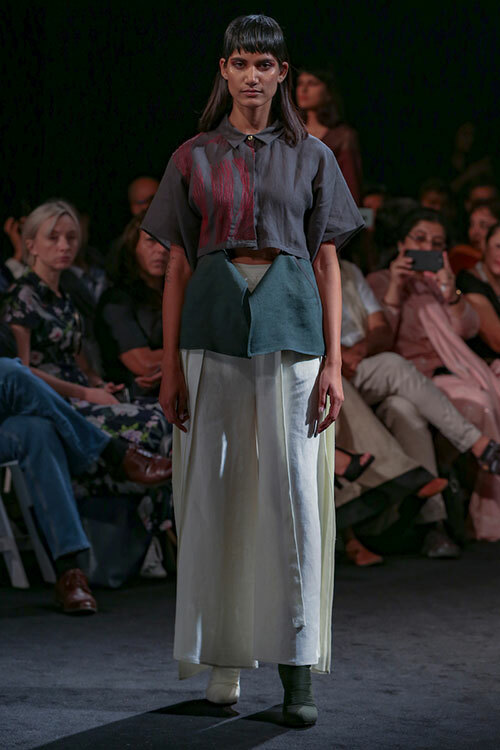 From using organic cotton, handspun khadi, zero-waste patterns and recycled sari fabrics to buy-back garment programmes and working with post-consumer waste, all these emerging designers had one objective – to educate the consumer about the need to adopt to a circular design model (Take – Use – Recycle), rather than a linear design model (Take – Make – Take – Make). 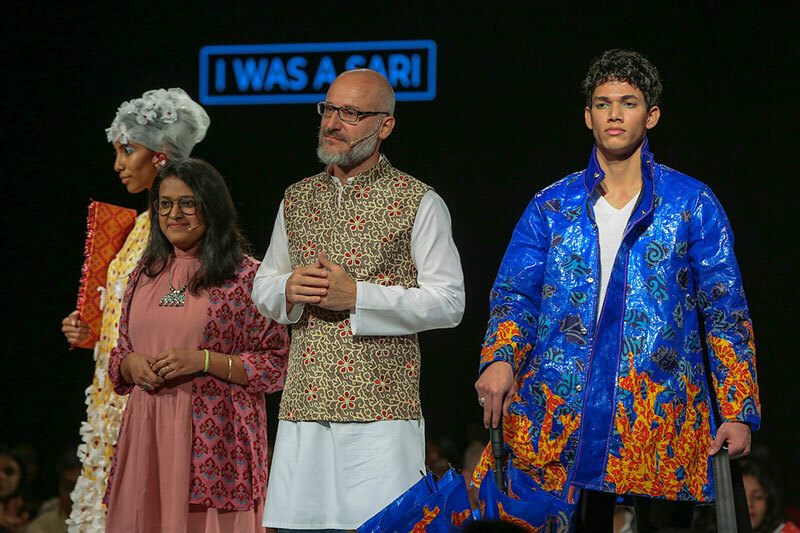 The label I was a Sari by Poornima Pande and Stefano Funari won the award, and an honourable mention was given to the runners-up, Aman Singh of label Bareek and Kanika Ahuja of label Lifaffa. 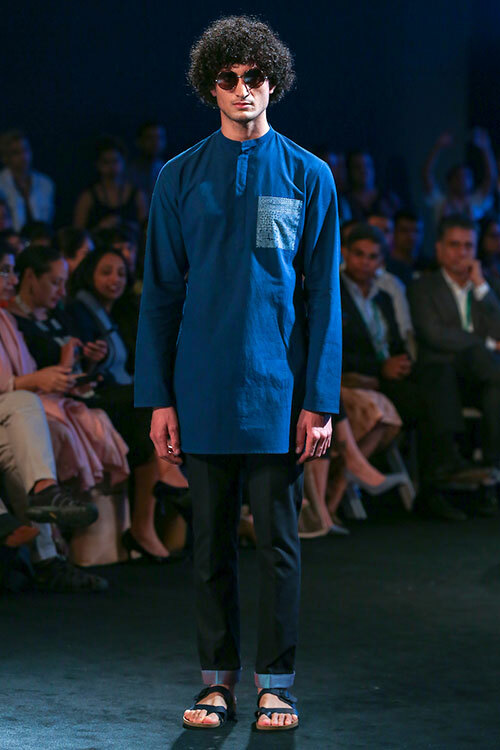 It was refreshing to see how young designers are developing ethical business models to elevate the society, economy and the environment. 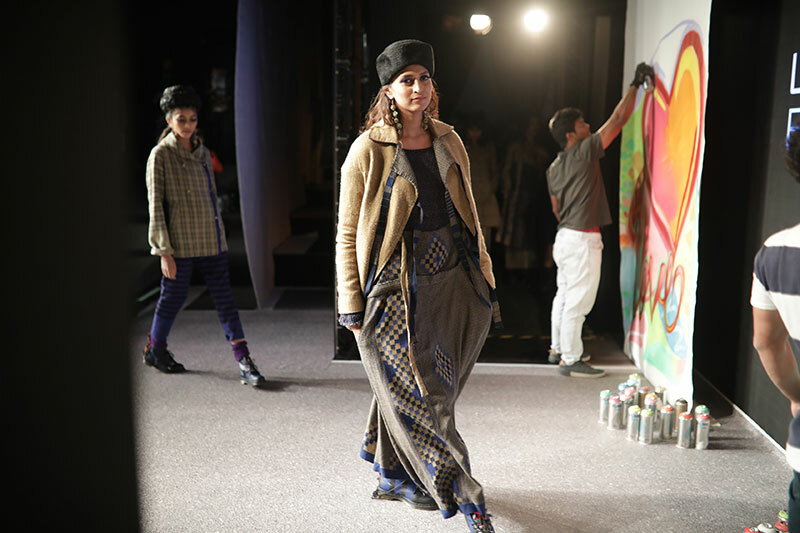 This brings us to the second show of the day by the ‘Action Plan on North East India Report’ (APONIR), which was presented in association with implementation partner GoCoop. 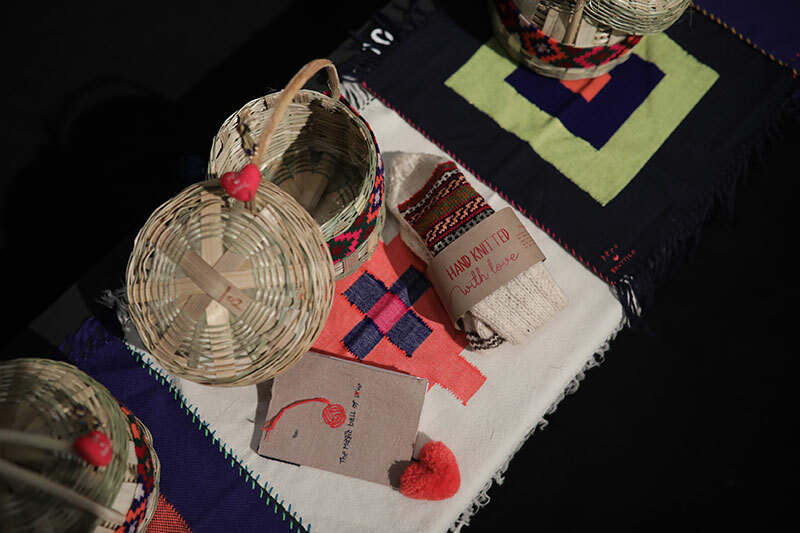 The APONIR works to enhance the livelihoods of marginalised artisans’ clusters in the north-east region by providing them with development support and market linkages. 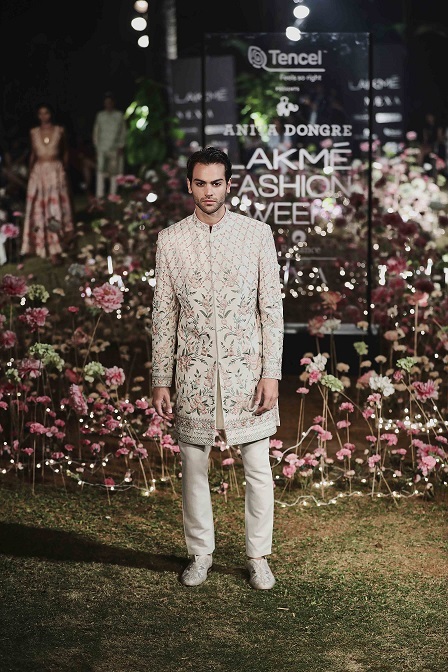 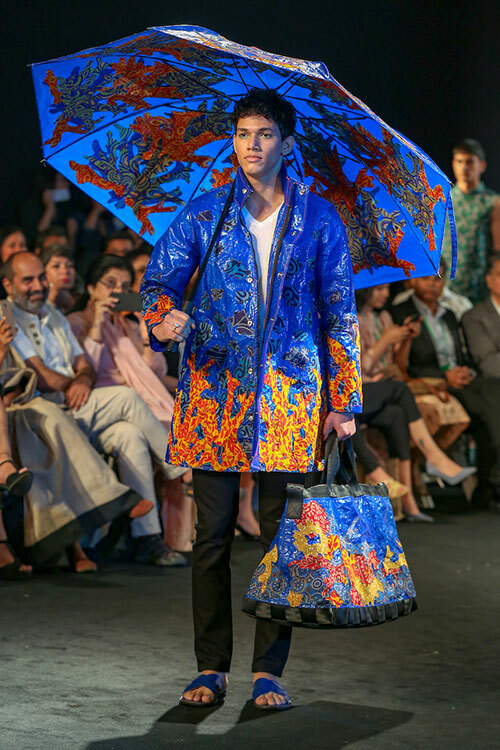 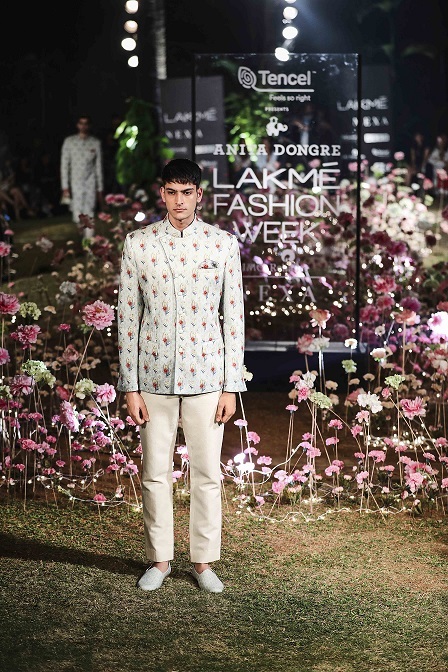 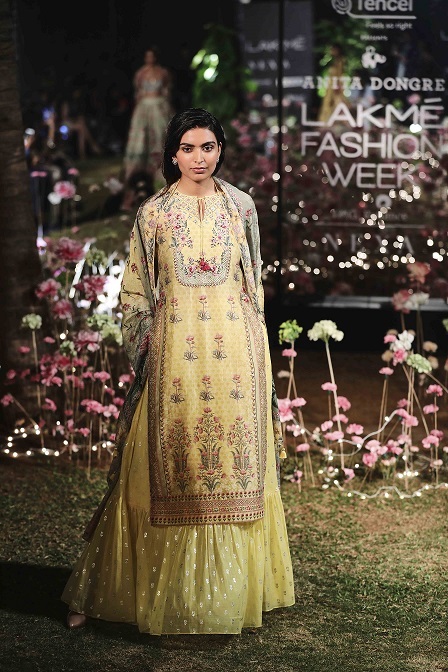 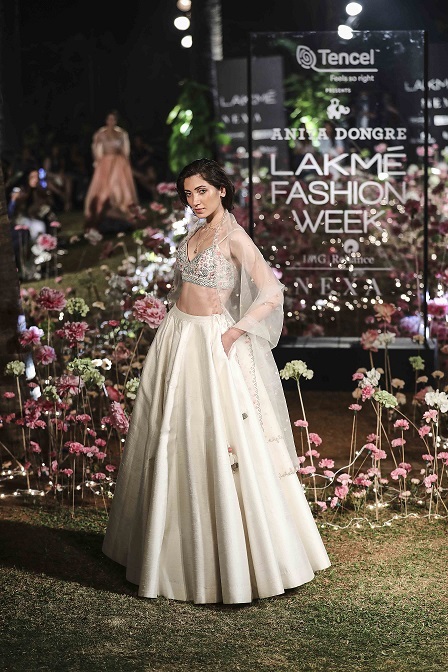 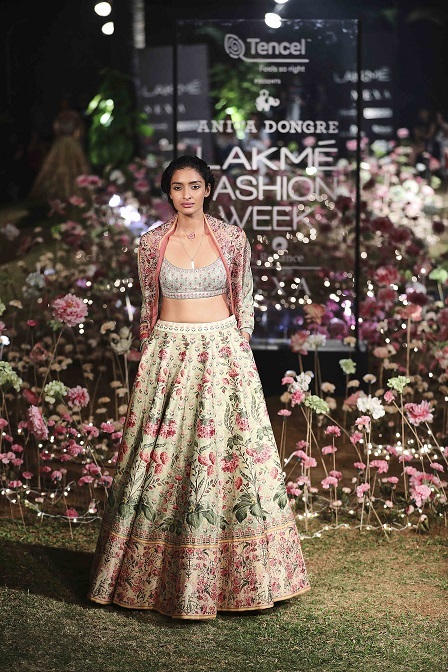 Anita Dongre’s Grassroot label and Raymond, in collaboration with Antar-Agni (by Ujjawal Dubey), showcased Eri and Muga textiles in their collections, which were hand-woven by artisans in these clusters. 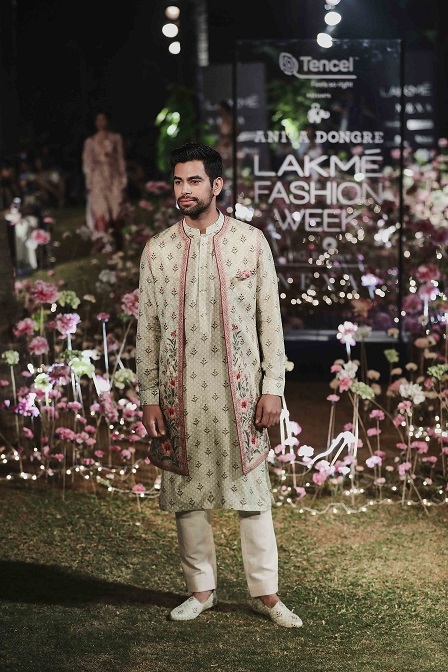 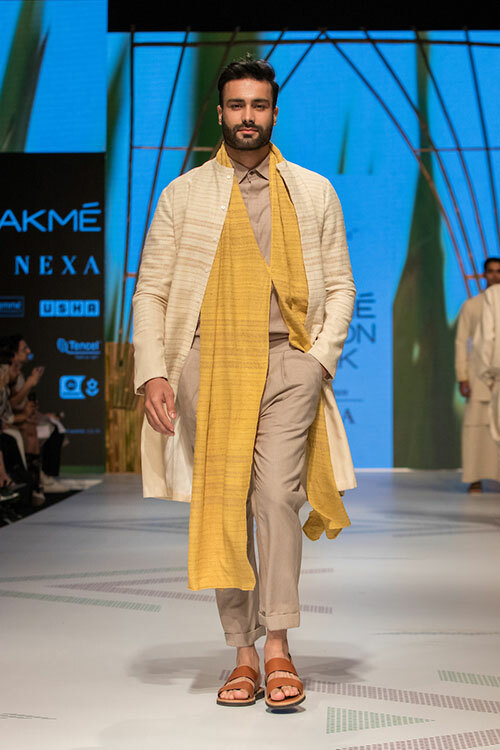 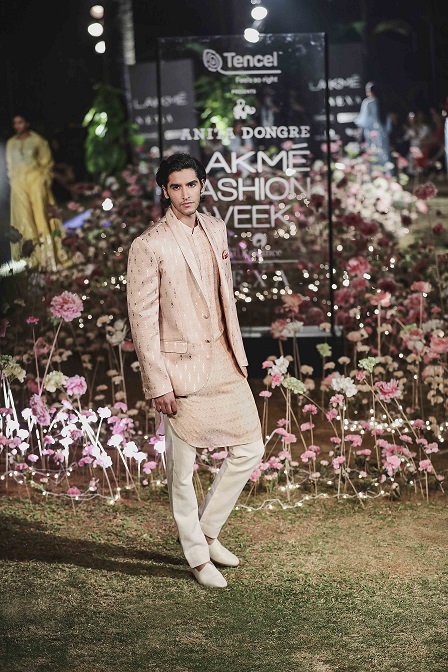 Dongre’s whimsical line-up in ivory and gold and Dubey’s interpretation of traditional menswear silhouettes gave a new life to these native handwoven textiles. 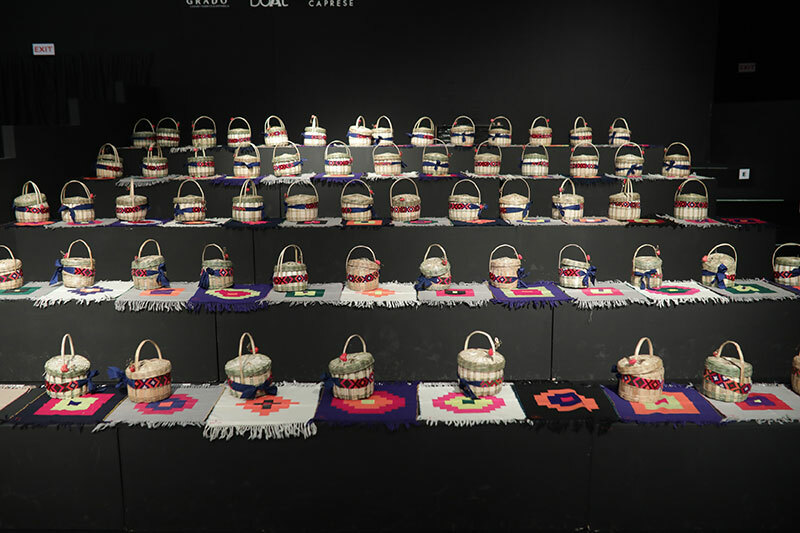 However, the question remains – how much production is necessary to scale up sustainable development and strengthen the weaver community without compromising on the essence of the textile? 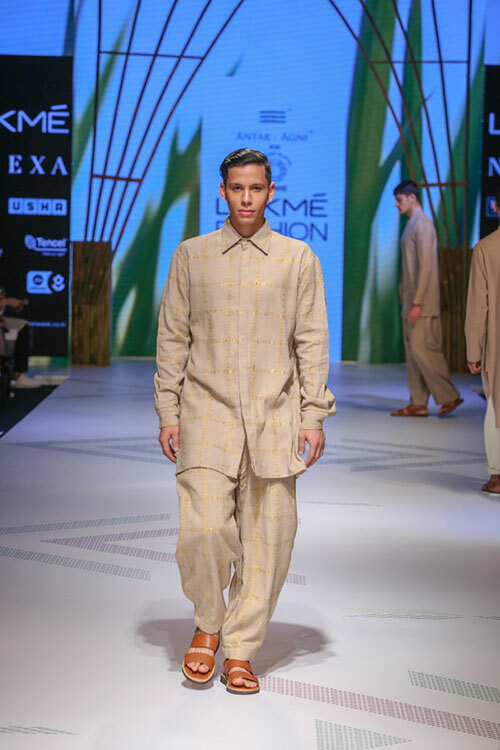 The capsule lines presented on the runway looked highly covetable, but APONIR, along with the designers, needs to ensure that they provide work to these clusters around the year so that these indigenous textiles don’t get lost into oblivion. 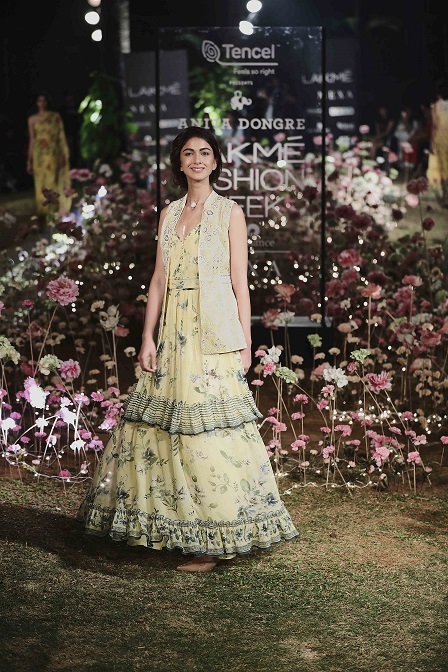 péro by Aneeth Arora presented its fall-winter 2019 collection on the summer/resort 2019 runway. 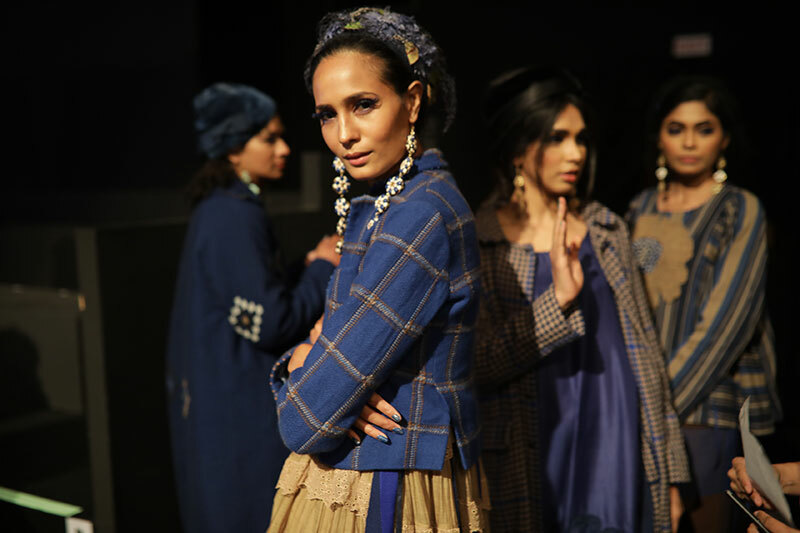 This didn’t come as a surprise as Arora has always stuck to her production cycles according to seasons, as she needs to procure her fabrics 12 months in advance. 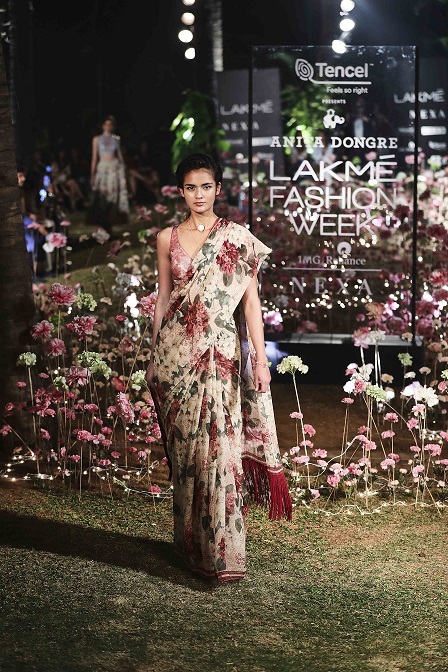 This is an important step in her bid to champion slow luxury that takes time to develop and take shape. 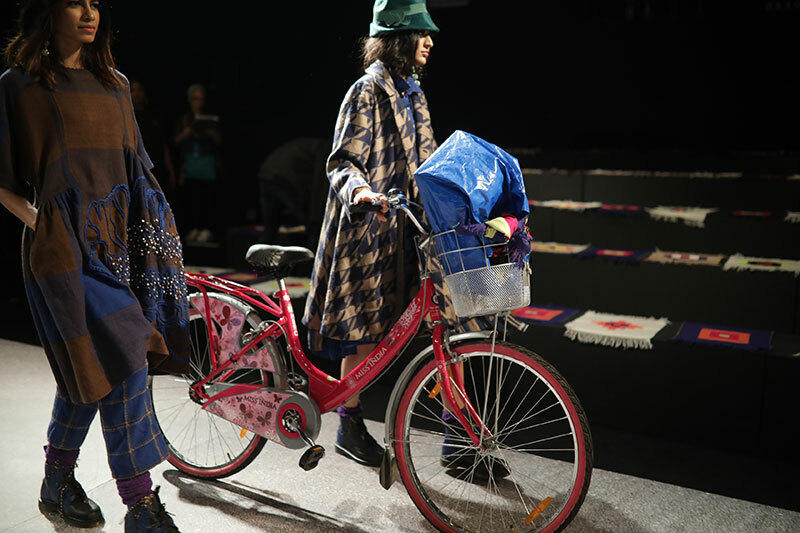 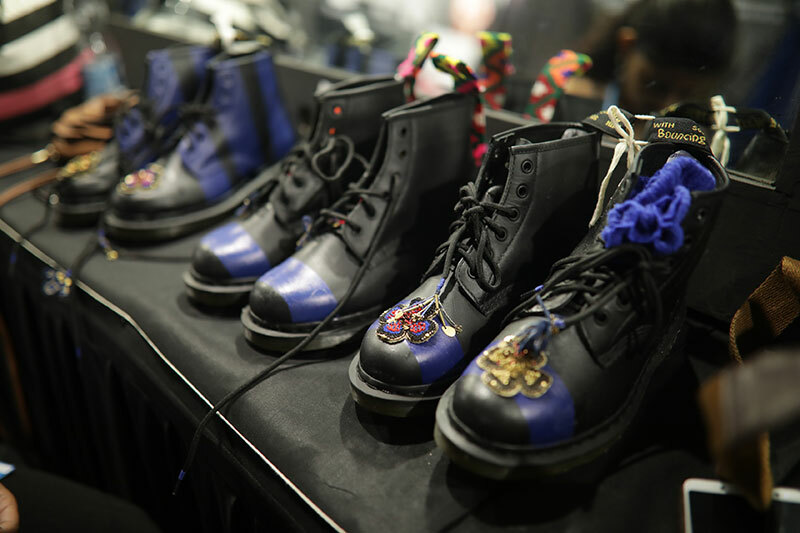 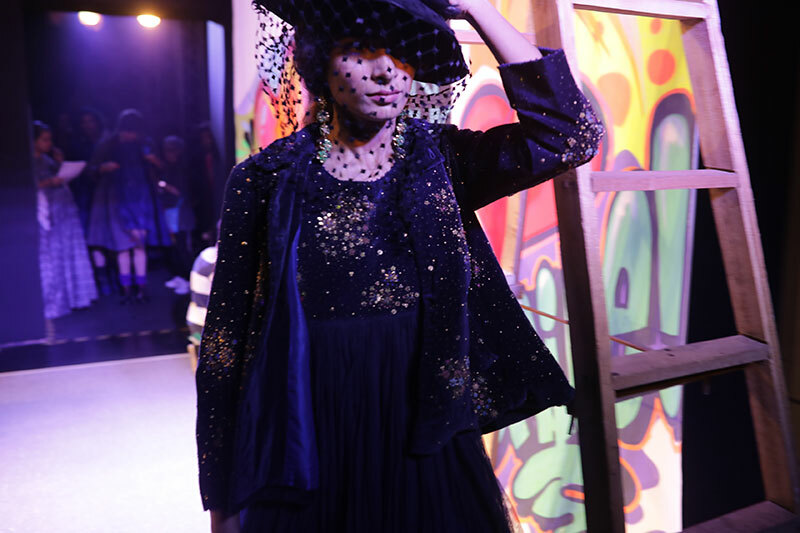 Coming back to the collection, it was a quintessential péro showcase with an animated runway – from hip hop artistes to graffiti artists and models navigating the ramp with bicycles on their side. 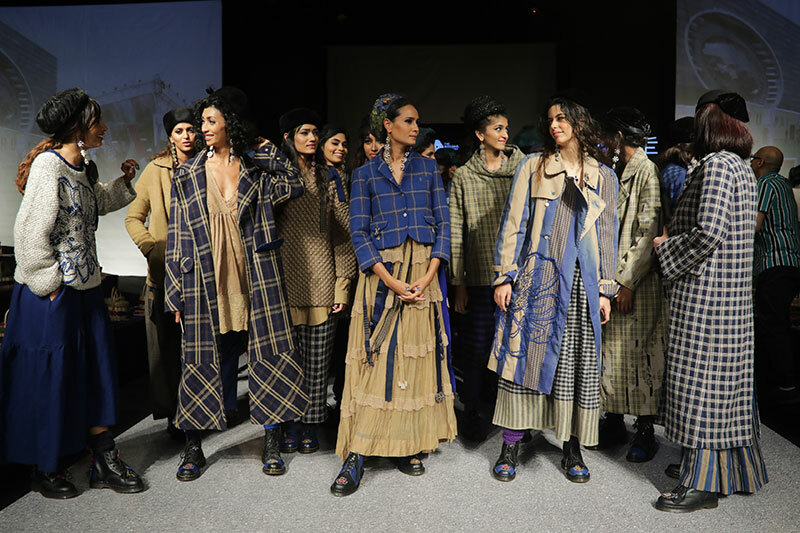 This show was presented in collaboration with The Woolmark Company and saw an amalgamation of péro’s take on Bhuttico’s traditional weaves with Australian merino wool. 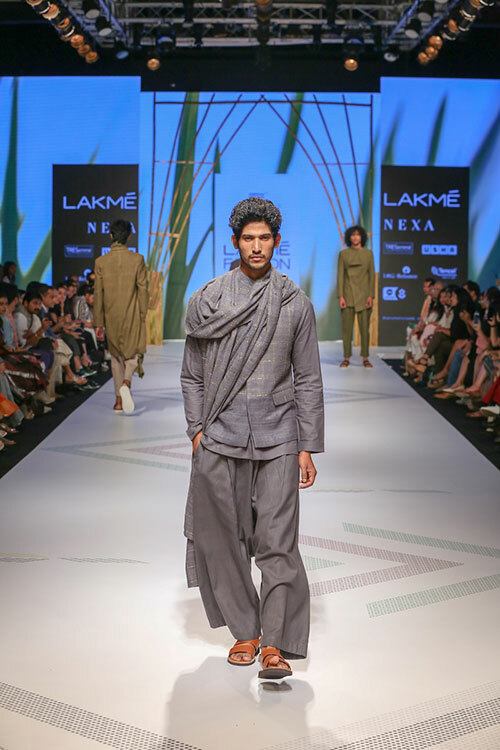 Woollen blazers and jackets were combined with mashru stripes, handwoven silks and chanderis to make the outfits look as much at home in an English countryside as it would in the valleys of Kullu. 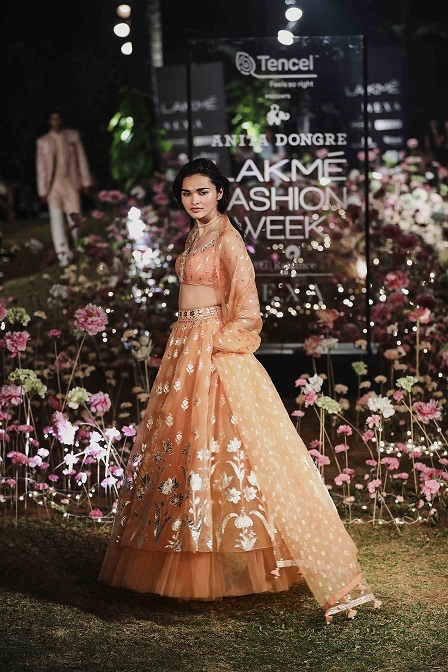 The last show of the day was Anita Dongre’s, who infused a whiff of sensuality in her collection with languid drapes, lightweight fabrics and pastel shades. 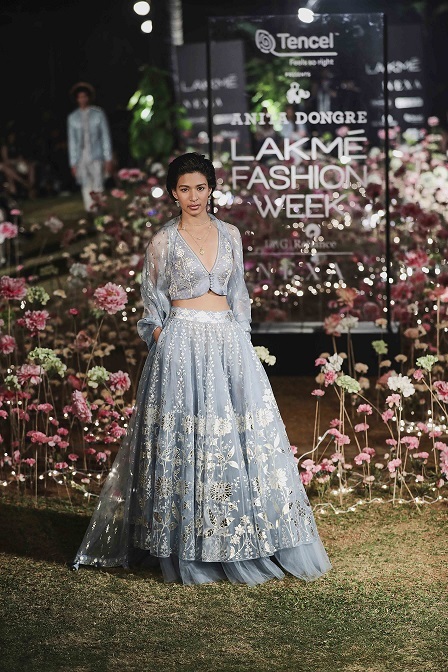 Minimalism has always been her forte, which she displayed through her designs, made using biodegradable Tencel fabrics and accentuated with delicate embroidery and floral prints. 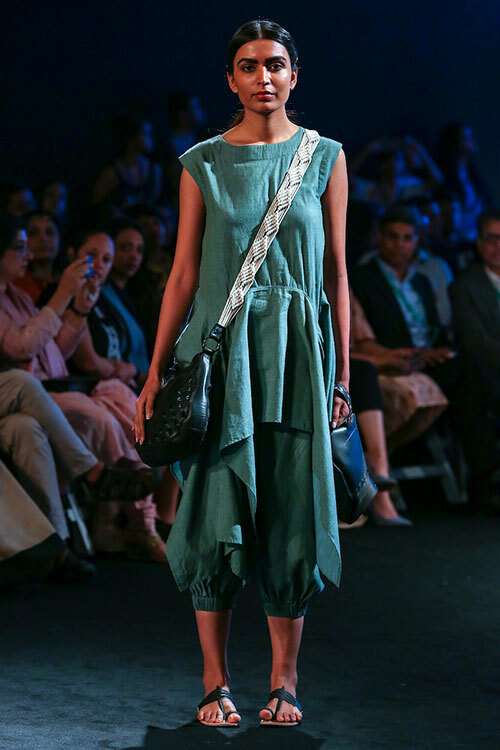 The easy-breezy resort wear at the beginning of the line-up was a favourite.